Congratulations to Oliver Lusby winner of the most notable capture by a young angler under 18, in the Dee District. Dad, Nigel, had promised his son two days salmon fishing on the Dee as reward for his excellent grades in his Highers, a real treat and first for Oliver as he had never spey cast or fished for salmon before. 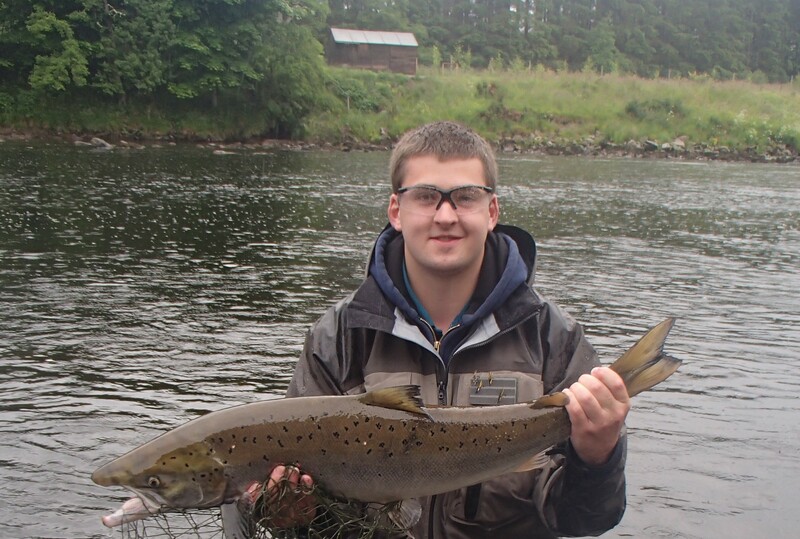 Crathes ghillie Brian Sim, Oliver’s 18lb salmon was netted, photographed and safely released. A proud moment for dad Nigel and Brian who has known Oliver since he started primary school.